We are engaged in Marketing of Prism Process Pumps, Prism Rotary Gear Pumps, Prism Submersible Sewage Pumps, Sew Gearbox etc. These products are durable and are used in diverse industries such as Cement, Steel, Food And Beverage industry, Machine Tool Industries, OEM's and many more. 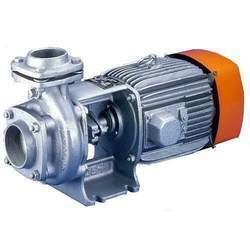 We are supplier of Rotodel Rotary Gear pumps which are used for pumping various viscous liquids. Rotodel Gear pumps are available in MOC's such as CI, SS Etc..
We are a leading Exporter & Supplier of Prism Gear Pumps such as Exteranl Gear Pumps, Internal Gear Pumps, Rotary Gear Pumps, SS Gear Pumps, Stainless Steel Gear Pumps, Fuel Transfer Pumps from India. 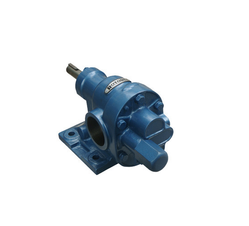 Prism Gear Pumps can be used for various types of Lubricating, Non Lubricating Viscous Liquids. 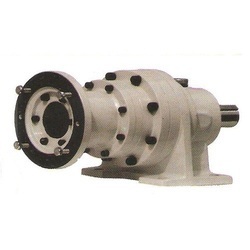 We supply a quality range of Rotodel Rotary Gear Pumps. 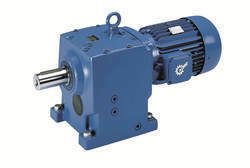 Our range of Rotodel Rotary Gear Pumps includes Rotodel HGN Series, Rotodel HGSX Series, Rotodel RDRN Series, Rotodel RDRX Series, Rotodel RDRB Series, and Rotodel RDMS Series. We are suppiler of Nord Gear Box & Nord Geared Motors. The Manufacturer Nord Drivsystems (P) Ltd have complete range of Helical Inline Gear Box, Parallel Shaft Gear Box, Bevel Helical Gear Box, Industrial Gear Box, VFD, Spares Etc..
1) Nord Inline Helical Gear Box. 2)Nord Inline Helical Geared Motor. 3) Nord Parallel Shaft Gear Box. 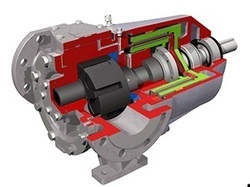 7) Nord Helical Worm Gear Box. We are in position to supply Befared Planetary Gear box of Higher Ratios. Befared Planetary Gear Box are highly efficient gear box. The planetary gear box supplied by us are having range upto 50000 KGM Torque and starts from Ratio of 1:3.5. We supply Prism brand Metallic & Non Metallic Process Pumps for your various applications such as Chemical Transfer, Effluent Treatment plants. We are in position to offer Polypropylene Pumps (PP Pumps), PVDF Pumps, SS 316 Pumps, Alloy 20 pumps, Cast Steel Pumps, Cast Iron Pumps for various industrial applications. Darling pumps with its expertise of over 35 years, has been the Chief architect of submersible pump revolution in India, with its every new & innovative product line it has set a benchmark for other to follow and has thus always kept one step ahead of the market.In last decade, Mr. Sandeep Naolekar – Managing Director, with his true grit and determination, has single handedly taken company to greater heights, in this short span many new product ranges evolved like - SUBMERSIBLE DEWATERING PUMPS, SEWAGE PUMPS, NON CLOG PUMPS, SLURRY HANDLING PUMPS, CANTILEVER PUMPS, AREATOR PUMPS, always providing efficient, reliable and world class designs. Darling Pumps with its dedicated team of R&D experts & with its new state of the art manufacturing facilities at Indore (M.P.) 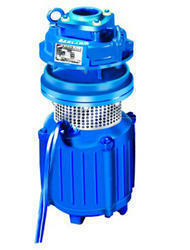 is well equipped to manufacture pumps up to 500 HP. It has ability to integrate different systems to provide customized technical solutions. Proven quality and cost effectiveness are just the by-products of integrated involvement and dedication of TEAM DARLING. Darling Pumps is been recognized for its capability to handle tough and varied Indian pumping conditions. Providing customized pumping solution has always been its forte. Almost all developmental projects unmistakably chose DARLING PUMPS for their Quality and Reliability. DARLING PUMPS is now a niche enterprise for Government and Semi-Government organizations & is an APEX player in Indian Pump Market… with over 750 indigenously developed pump models… DARLING PUMPS has Patronage of leading organizations like: NPCIL, NTPC, Various STEEL PLANTS & MANY other leading industrials & commercial organizations.After creating a niche in submersible pumps sector in India, various models of DARLING PUMPS are now being exported to various Asia Pacific, Middle East, European and South African countries. Kirloskar’s are the Pioneer’s of Pumps. 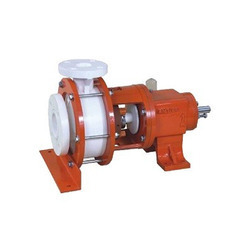 Internal Gear Pumps are for clients who deal in industries like, Brewery And Distillers, Chemical And Process, Fisheries, Soap And Detergent, Steel Industries and others.